Quite often customers tell us the hardest part of any paint job is finding the right colour. Our knowledgeable friendly staff are here to help. We have over 5000 options on display and in our catalogues. Come and see our library of living colour! 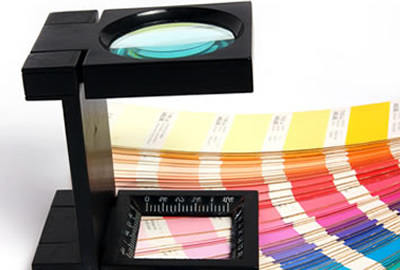 Choosing a colour from a small paper swatch can often be difficult. At Paint Depot we have taken the time to paint out hundreds of 18″x18″ in house artist canvases in a range of different colours. 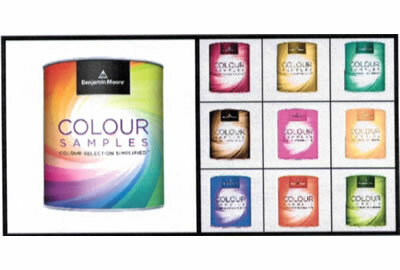 The canvases let you experience colour in a truer way than traditional manufactureers paper samples. When looking at the canvas you may also want to pull out some of our painted trim samples to help complete your vision. Paint testers offer a great way to try out any Benjamin Moore Colour in your own space. Before you commit to buying gallons why not purchase one of Benjamin Moore’s 473ML testers. They are just the right amount of paint to see if you have chosen the right tone for your space. Are you looking to freshen up an existing colour in your house? Do you you have a paint chip from somewhere you can no longer recall but love the colour? 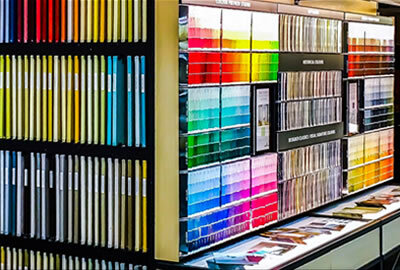 At Paint Depot we specialize in custom paint colour matching. When doing a match we like to start out with a spectrometer reading. The Paint Depot difference is that when fine turning is needed we will always adjust a match by eye till it meets our standards. So bring us that old painted fence board, broken off piece of trim, the chunk of drywall the electrician has cut out, or even just a chip from any of our competitors brands and we will mix a custom paint just for you. Please note that if you would like we can store all information about your colour history in our store database. 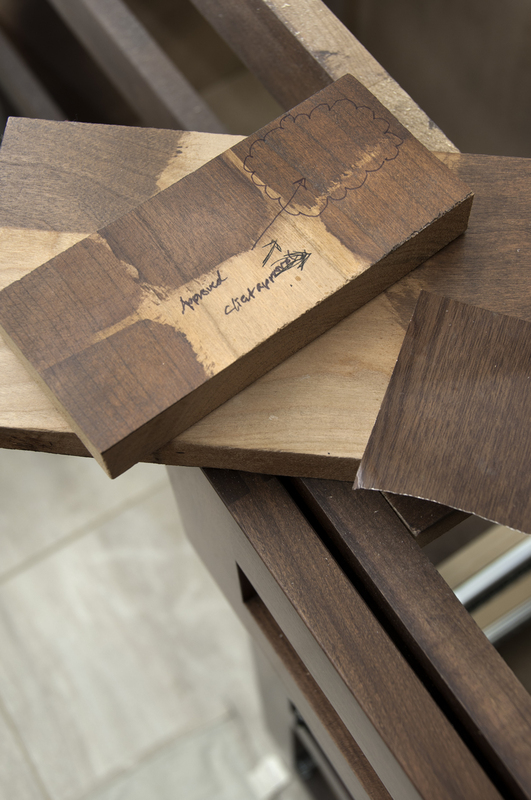 Finding it impossible to find an off the shelf stain that matches your existing or newly purchased flooring? We have you covered with our interior custom stain matching service. All that’s required is a raw piece of the type of wood you will be staining, a piece of the target stain you need matched and three days. No more need to settle for an off the shelf pre mixed colour that doesn’t do the job.